If you’re the one who are used to the Chrome browser on the android smartphones, just see how vulnerable it is to show your passwords. You can get instant access to a user’s stored password in a jiffy. Features like these on the android platform make it necessary to have password manager app that can come to the rescue. Password Genie – This is the most favorite app of the android users who want a secure way to manage their passwords. It can be downloaded from the Play Store and can be served as an electronic wallet that can store all valuable bits and pieces of information, account numbers, bank details and passwords, all in one place. It is possible to sync up data as required within multiple platforms. Hence it itself can be accessed with just one password. It causes encryption of valuable data and is deemed secure. mSecure – It is similar to password genie but adds more features. 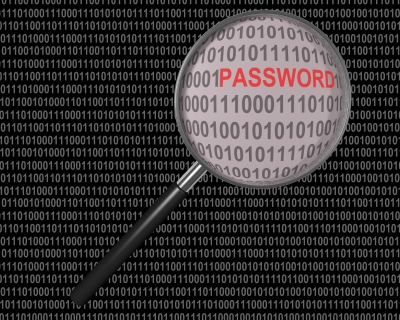 The search for passwords is very easy and convenient. The app itself comes in with a password manager that generates a random password for the user, which is un-guessable. This is a nice security feature. There is also a desktop version, hence the app works seamlessly well on the Mac OSX/Windows and iOS/Android devices. You can store unlimited number of passwords, which is nice to have since passwords used by people online have increased by the day. aWallet – If you are looking for an Android password manager with a more lightweight option, then you cannot possibly ignore this app. The app provides means of easy navigation. You shall be welcomed with four options – Category, Lock, Category Editor and Favorite. Favorite category designates important passwords under favorites since they shall be used on a more frequent basis. The app encrypts the data using AES and Blowfish algorithms that make it more secure than ever. Keeper – This is a free and most mainstream app of the list. It is also the best password manager available as of today on the Play Store. The app has unique capabilities that are not available in other apps. For e.g. there is a feature to launch websites directly by tapping on the username and password combination on your device. The app will then securely fill in the website form data, doing all the work at your disposal. This app is available cross platform too, on the Apple and Windows machines and hand held devices. The base app is free, whereas the Keeper Backup could be fetched for a price on Play Store. Password Safe Pro – It allows users to store the web access information directly. The algorithms used to encrypt passwords are 128 and 256 bits AES encryption. It is possible to send an SMS and delete the passwords from your account. One of the most utility deserving applications of this app is the feature to take backup of your password data on to the SD card and Dropbox account. PasswordBox – It is a free and premium password management app that includes various features like encrypting and storing the passwords along with personal information as well as notes. A user can even sync his password to multiple devices through PasswordBox app. One of the standout features of this app is “Legacy Locker” which allows the user to decide an heir to their passwords if something wrong happens. SplashID safe – With the latest version of SplashID safe. SplashData has made it tough for the competitors. Not only does it help with safeguarding passwords but it also encrypts sensitive information. One can save website login details, credit card details, social security data and other file attachments. This was the list of top 5 password management apps for Android phones, If you know any other password management then share it with us via leaving a comment. About Author: This is a guest article written by Kuldeep, He writes about technology tips, technology news, tutorials like wechat for PC and rooting guides on RocMat.org. Well written article. Please consider Password Depot. It can be used as an wallet, password generator and storage. It can store all the valuable information ranging from credit cards, TAN lists, EC card details to personal information. All of this information can be sync up to the desired storage location on cloud or local drive. The autofill option makes the Usage simpler. UI is a big advantage with clear understand and simplistic approach. On overall, password depot has all features that we desire- and its free. Well written article. Password Managers are well-described. I can further suggest this information if anyone is ready to buy any password manager applications. Thank You for sharing ! Thanks Jeanne Soria for the valuable feedback.